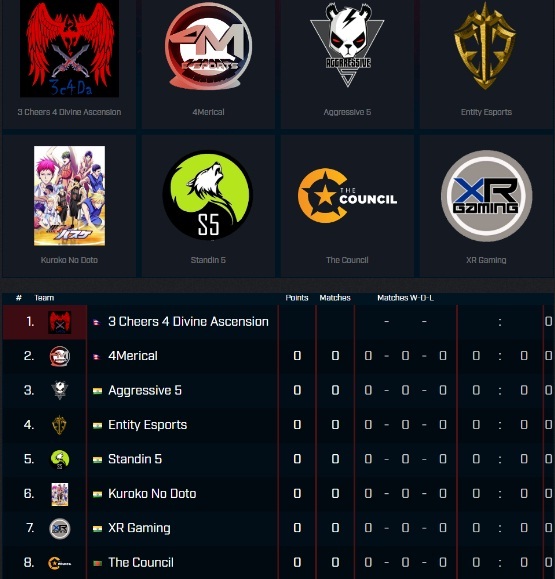 Yet again this year Team 3c4da and 4merical E-sports have been invited to play in a ESL Master League. This time ESL India has changed a league formats and there are 3 seasons. The offline LAN finale for Summer, Winter and Fall season are scheduled to take place at Mumbai, Hyderabad and Delhi respectively. ESL Master League is going to be an online event with 8 invited teams. Nobody has been directly invited to a Season finale event this year so every team need to fight for a slot in lan event. There is also a promotion-relegation process to improve the quality of the tournament and to make it more interesting. You can visit HERE to know about Season Format, Promotion-Relegation Process and Season Finale.